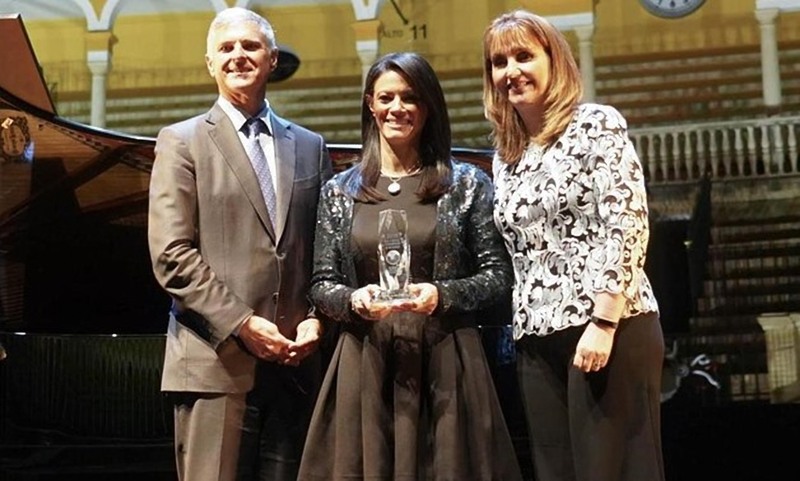 The World Travel and Tourism Council (WTTC) granted the Global Champion Award to Egypt’s Minister of Tourism Rania al-Mashat for Egypt’s efforts in promoting sustainable tourism, WTTC announced on Thursday. “We commend Minister of Tourism Rania Al Mashat and Experience Egypt and for this comprehensive plan to reform their tourism industry,” WTTC wrote on Twitter. This is the first time for a country or a minister in the Middle East to receive such an award, the WTTC said, which was held during the 2019 Global Summit held in Seville, Spain between April 2 and 4. In the report, the WTTC said that the tourism sector in Egypt under Mashat recovered rapidly, as in 2018, the number of tourists increased by 16.5 percent, which is higher than the global average of (3.9 percent). Mashat also expressed appreciation of the Global Champion Award granted by the WTTC, adding that the main goal of the ministry is to enable at least one member of each Egyptian family to work in the sector. In an exclusive interview with Egypt’s first female Minister of Tourism on the sidelines of the World Youth Forum in November, Rania Al Mashat explained to Egyptian Streets the details of her new “People to People” campaign to promote tourism in Egypt. The new campaign going forward, Al Mashat explains, is going to be based on three main pillars. The first is destination branding, which focuses on highlighting certain places in Egypt like Sharm El Sheikh or Siwa rather than saying “Visit Egypt” as a whole. The second is the “People to People” campaign, which works on changing the negative perceptions of Egyptian people, and the third pillar is the Grand Egyptian Museum (GEM), which is set to open in 2020.